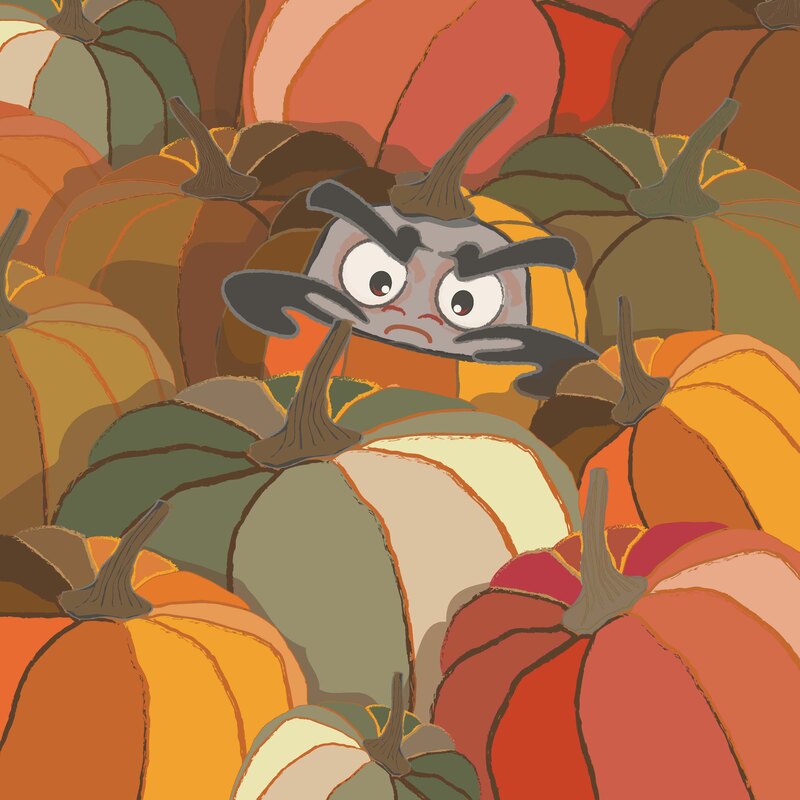 Around mid-October, Kiku asked Boss Panda if Halloween was celebrated in Japan, and the big bear raised an eyebrow. 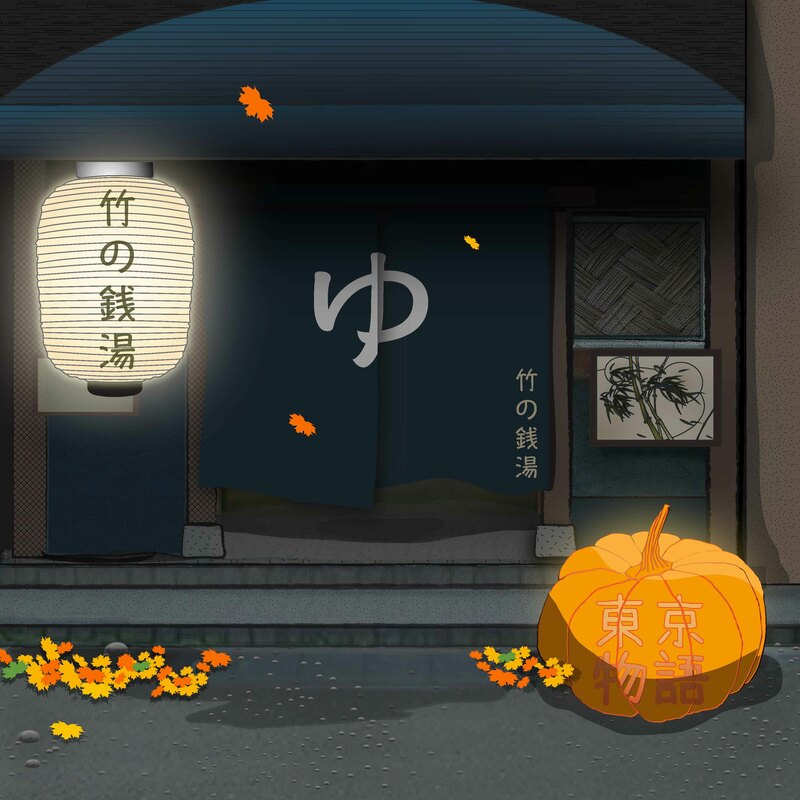 “Until just a few years ago, Halloween was not popular in Japan, with just a few Tokyo clubs staging special events with a Halloween theme. But now, tens of thousands of people in costumes congregate in the areas outside Shibuya station for the Shibuya Costume Street Party, from the afternoon until the early hours. I know that Yokai often take part in this party, as they can go unnoticed in the crowds, and even Mama Kojin and I have been known to join in the fun… “ He winked at the little fox. “You’d better ask Mama Kojin”, said Boss Panda. “We will need to decide on a theme’. Mama Kojin and Miko-chan set about making a ‘group’ set of costumes – something which is very popular in Tokyo – it is not uncommon to see a group of ten ‘where’s Waldos’, Pikachus or even daikon radishes! They didn’t tell the others what the costumes were until the afternoon of the 31st…. 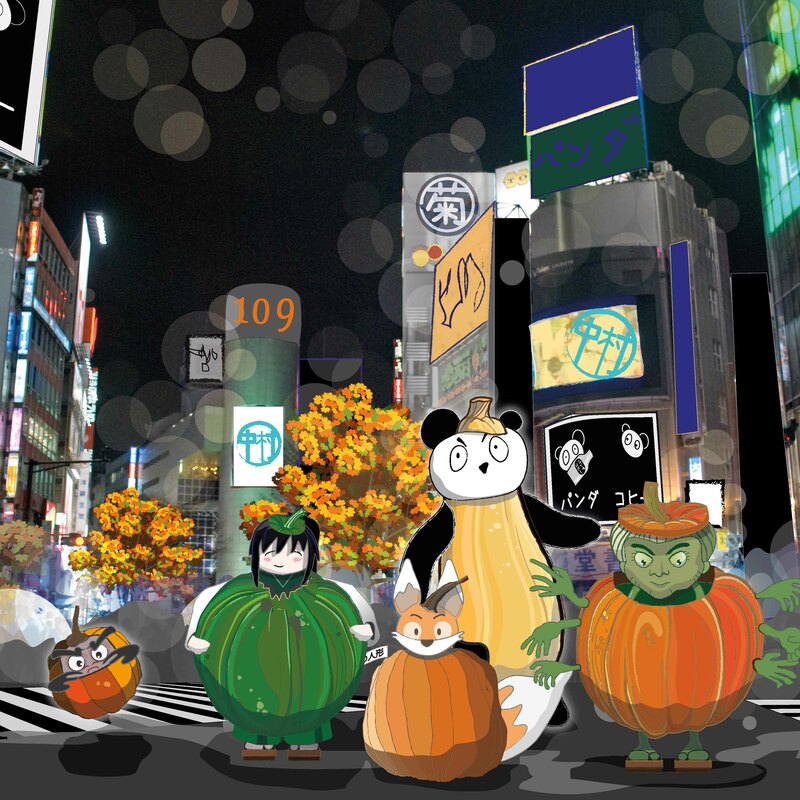 The five friends from the Bamboo Bathhouse are seen here at Shibuya Scramble crossing in their ‘squash’ outfits. They all look great I’m sure you will agree – but I’d keep an eye on DokiDoki Daruma, because no-one wants to be covered in exploded winter vegetable! Shibuya Halloween takes place in the area around Center Gai street in Shibuya. The entrance to the street is beside the QFront building near the Hachiko Exit of Shibuya Station. I love this so much. Your illustrations are marvelous, and the tone of your words is just right. So charming. Thank you.